Buy and Download > Description Godspeed is dedicated to memory of Jennifer Shaw's father, David Chilcoat, and was originally played at his memorial service in 2006. 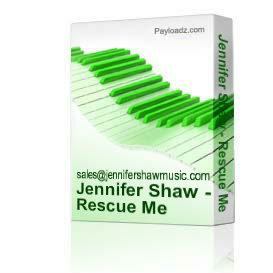 This remixed version is the eighth song on Jennifer Shaw's sophomore release, Finding Beauty. Godspeed is dedicated to memory of Jennifer Shaw's father, David Chilcoat, and was originally played at his memorial service in 2006.&nbsp This remixed version is the eighth song on Jennifer Shaw's sophomore release, Finding Beauty.